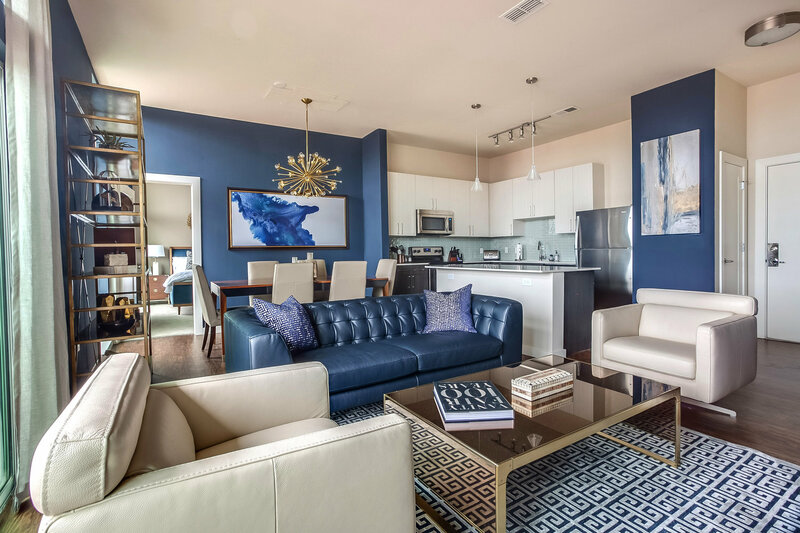 This penthouse apartment boasts a mid-century design aesthetic, and upon entering this stylish space you will immediately want to drop your bags and bask in your surroundings. 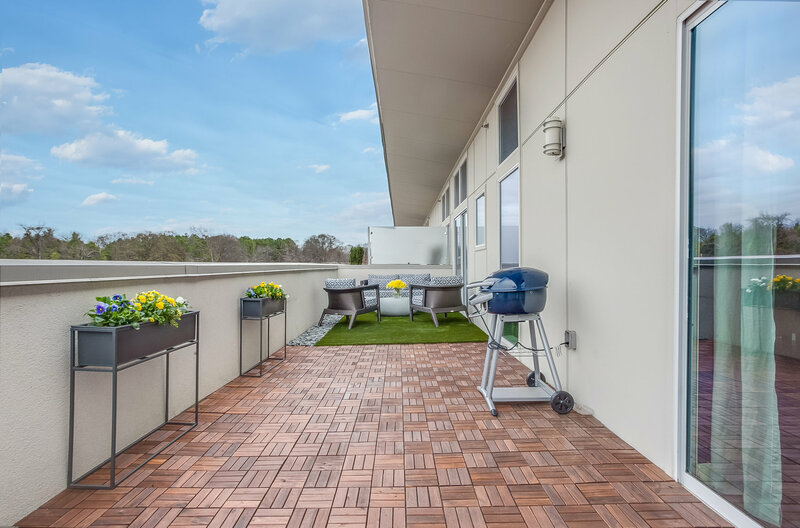 It’s the perfect hideaway with an expansive 47’ long balcony that overlooks the hottest neighborhood in Atlanta. 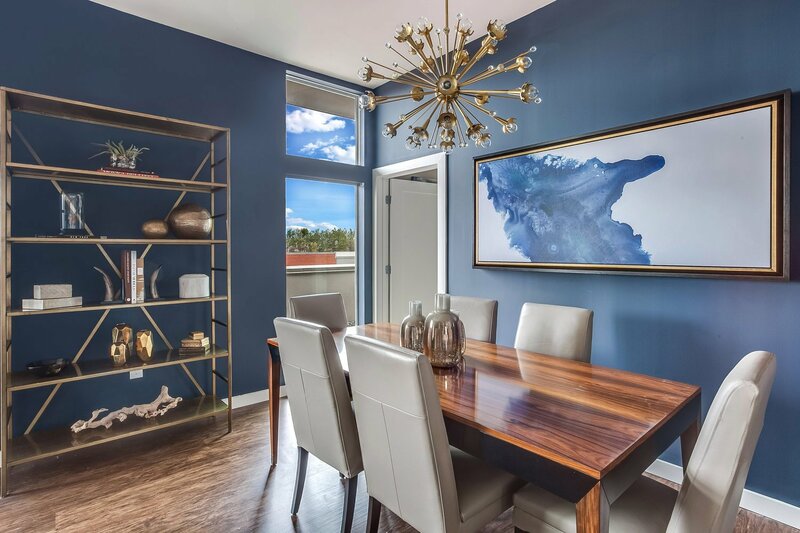 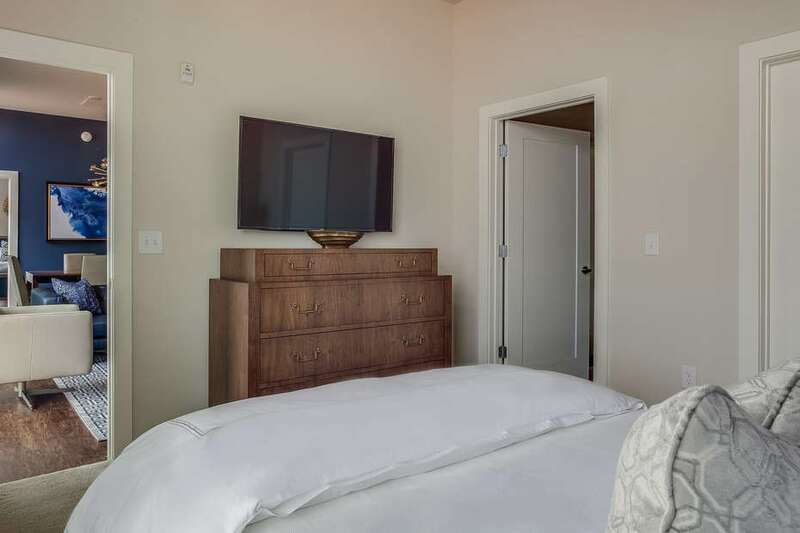 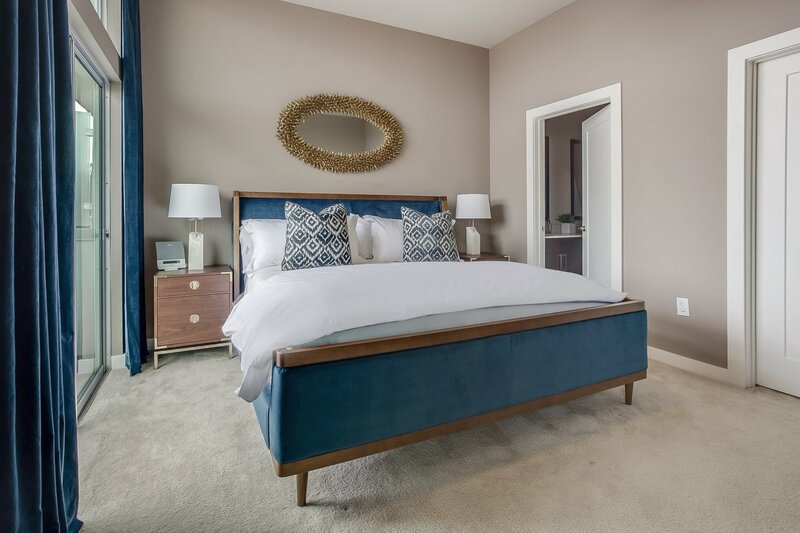 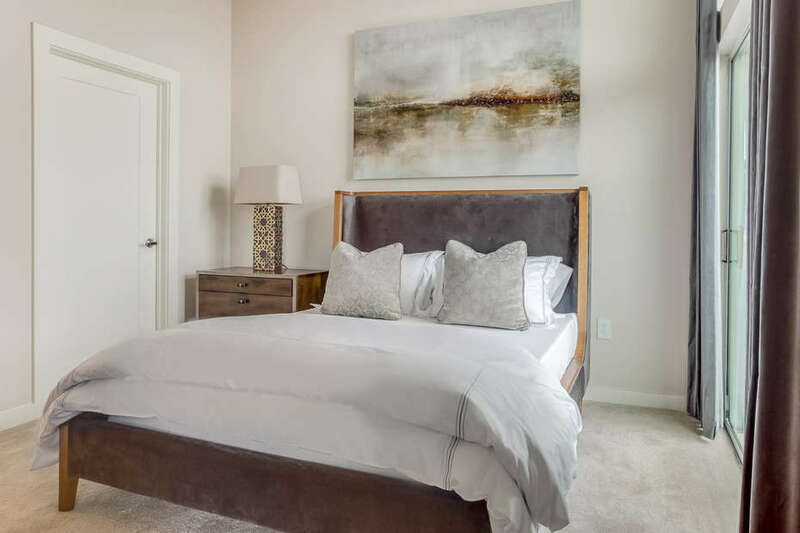 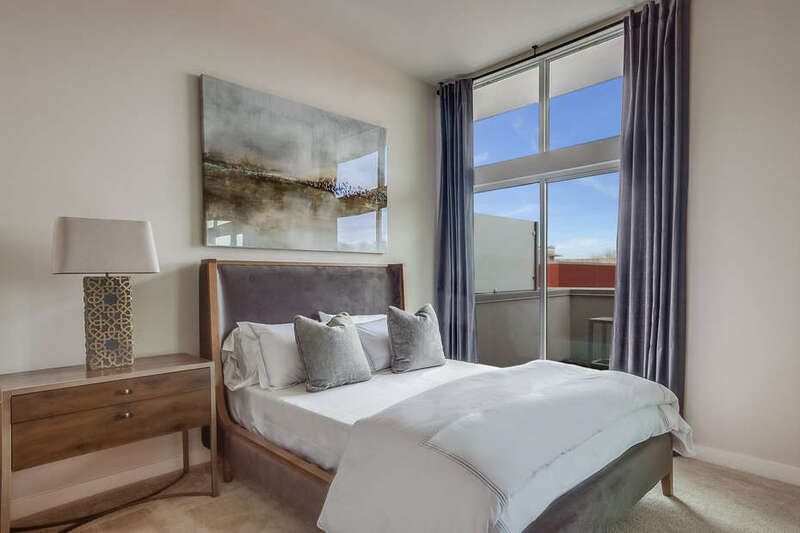 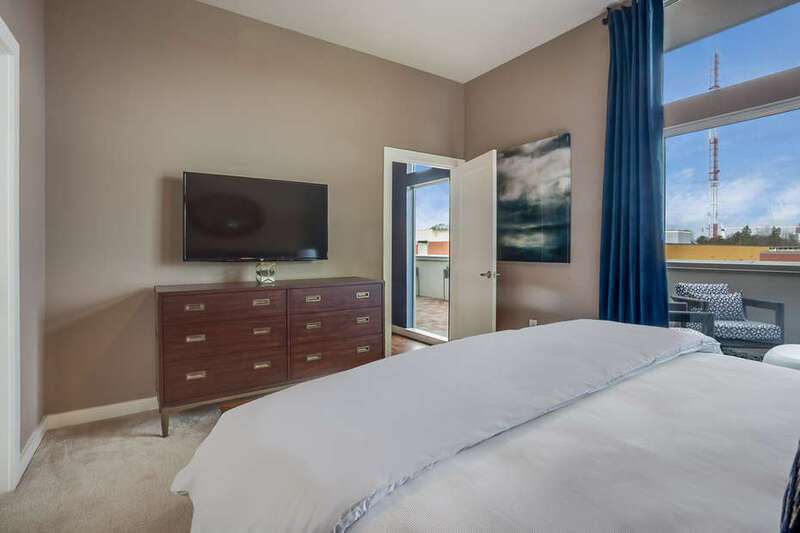 Located in Inman Park, the penthouse features two en suite bedrooms and sleeps four comfortably in a king and queen bed, with each room having direct access to the balcony. 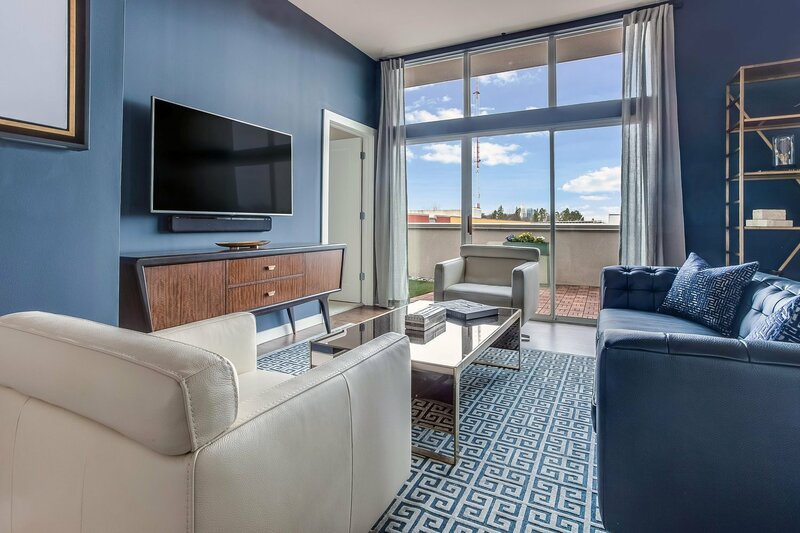 This unit has everything one would desire for lounging or entertaining. 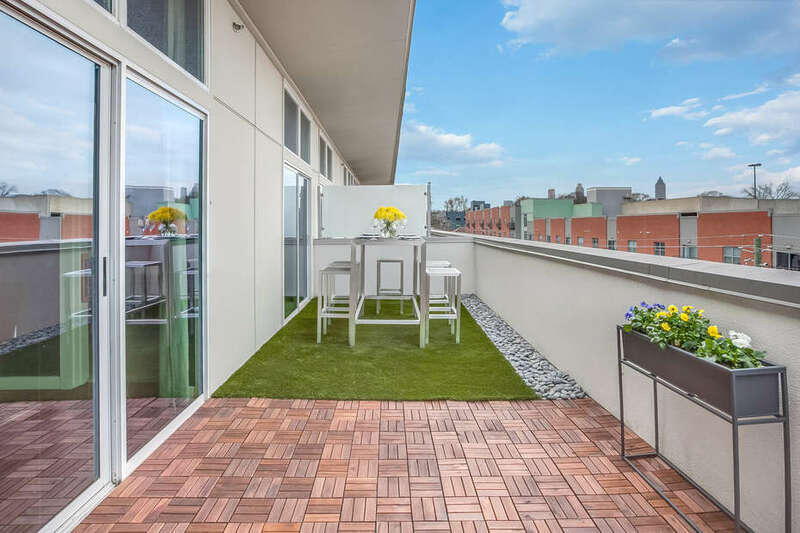 The smartly-designed balcony includes a grill and chic dining and seating areas for al fresco dinner parties.The interior features all of the accoutrements found in high-end luxury living. 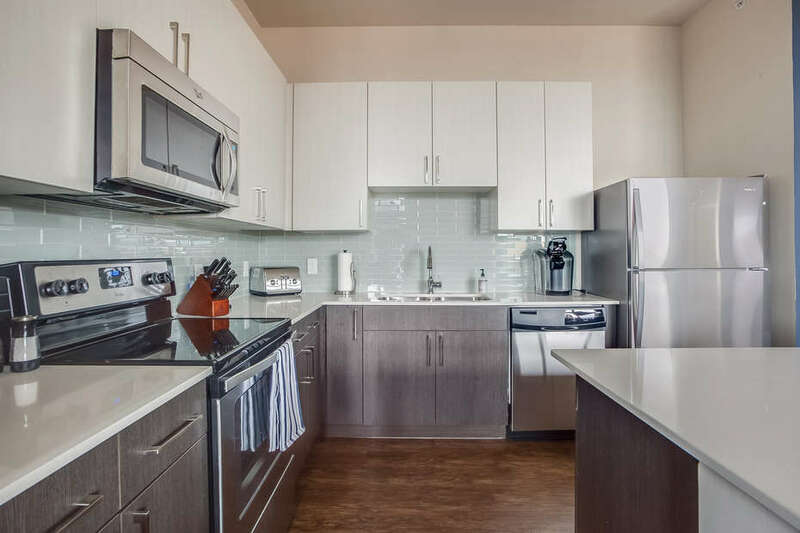 The well-appointed kitchen contains stainless steel appliances, exquisite white quartz counter tops, and beautiful two-tone cabinetry with designer fixtures. 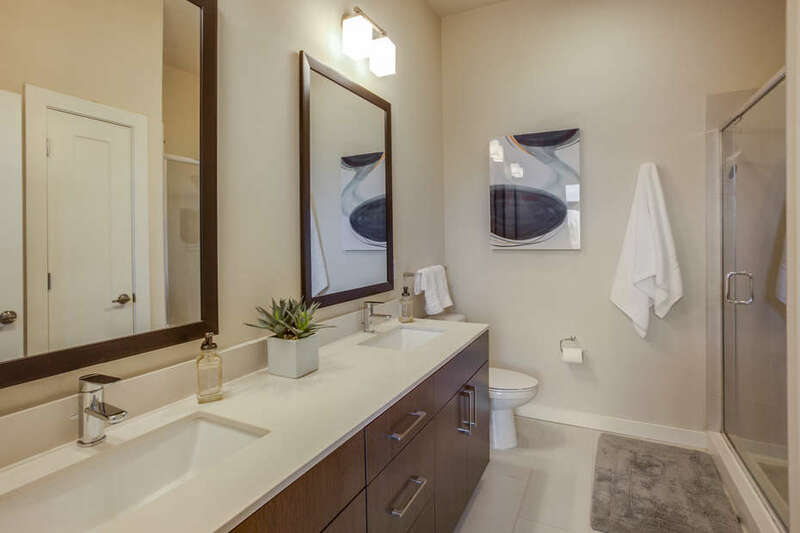 Both bathrooms are furnished with ceramic tile flooring, and porcelain undermount sinks. 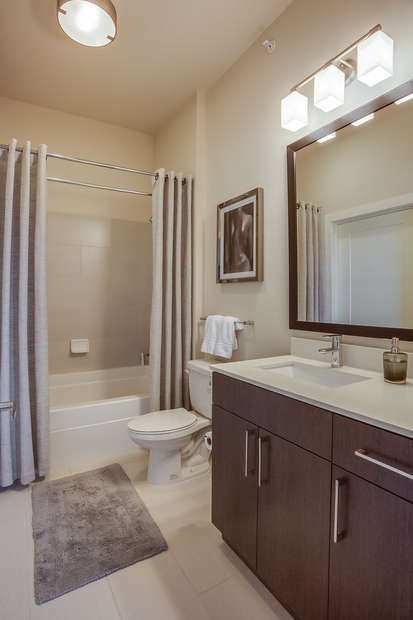 The Master bath features a freestanding glass rain shower, while the guest bath boasts a spa-quality soaking tub.. 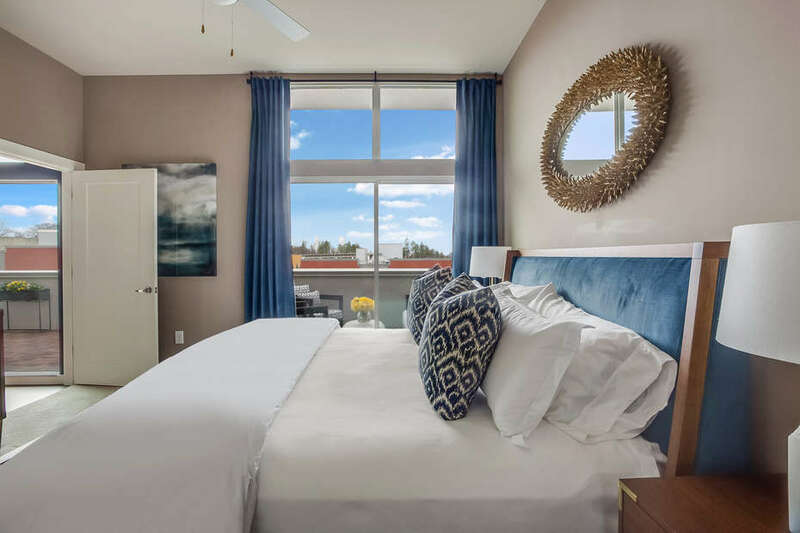 Located just a couple minutes’ walk to the Beltline in the heart of the most sought-after neighborhood in Atlanta, the apartment community features a modern outdoor pool with clubhouse, a fitness center offering top-of-the-line equipment and weekly yoga classes, as well as some of the hottest restaurants, bars, and shops in the city right outside your door.